Many injuries to teeth can be avoided by simply realizing their structural limitations and taking reasonable precautions to avoid exceeding those limitations. Tooth enamel may be thought of as a bicycle helmet—it’s durable under normal wear, and designed to absorb stresses to the teeth by chipping and crazing. If you think of tooth enamel as a glass shell around the tooth, you have a pretty good idea of what its limitations are, and how you should treat it. 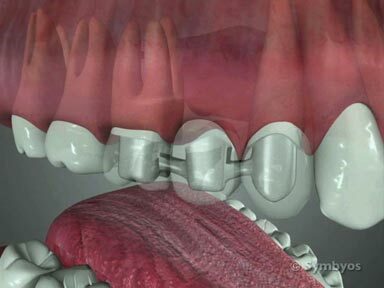 Avoid chewing ice, popcorn kernels, or other food that is difficult to compress. Even hard bread crusts and nuts can break or chip teeth that have been weakened by decay and fillings. If your teeth have fillings or other dental restorations, it may be a good idea to avoid very sticky or chewy foods like taffy and caramels. 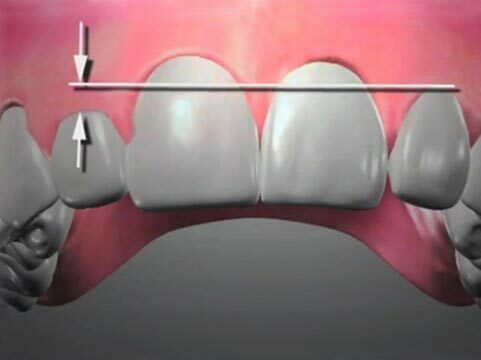 Once a tooth has been decayed and filled, its structural strength has been compromised, although bonded fillings and crowns help restore some of that durability. Aside from taking excellent care to avoid cavities that can weaken teeth, there is nothing you can do to “strengthen” them. And contrary to popular belief, chewing hard food will neither sharpen or strengthen them (unless you break them—the fracture line will undoubtedly be sharp)! If it’s not food, don’t bite or chew it! The use of the teeth for any purpose other than chewing food is considered “parafunction” (“factitious habits“). Habits like biting thread or fish line, biting fingernails, crushing sunflower seeds or chewing on pens or pencils can chip and crack teeth. The best “treatment” solution is simply avoidance of these practices. 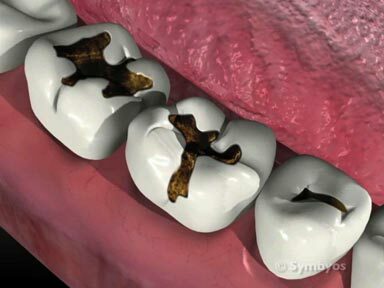 Damage caused to the teeth may need to be restored with fillings, veneers, crowns, onlays or other types of restorations. If you participate in athletic events involving close physical contact, wear an athletic mouthguard! The sport responsible for the most tooth injuries is basketball. Participating in such athletic events without an athletic mouthguard exposes your teeth to the risks of chipping, displacement (luxation), or being knocked out entirely (avulsion). Athletic mouthguards need not be costly. They typically cost just a few dollars at most sporting goods stores and will afford excellent protection against tooth injuries. If you want a custom fit athletic mouthguard, your dentist can make one for you. The important thing is just to wear one.